Need a quote? Use the form. 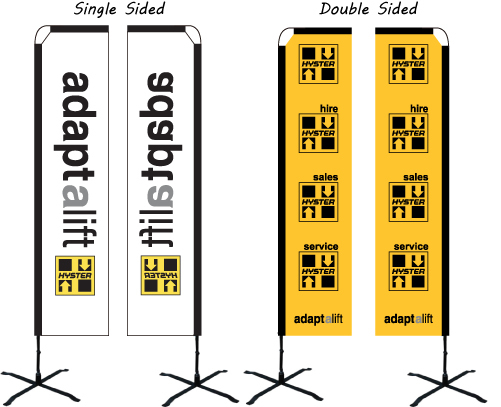 Rectangle banner flags are a great alternative to feather or teardrop flags. 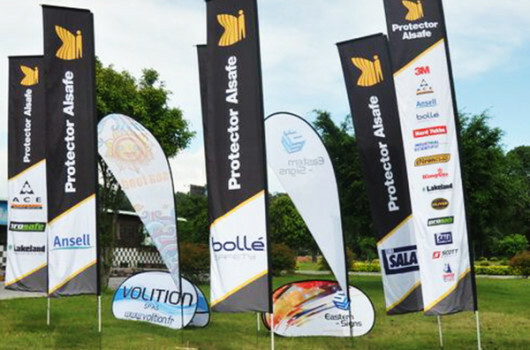 With the rectangle shape and the pole style arm coming out horizontal this type of flag banner means no curve at the top and the design will always display. The Rectangular style gives you great print space and coverage. Rectangular Banners can be made two ways single sided and double sided. Single sided print meaning the back side of the flags will be in reverse. Double sided flags we print two rectangle banners sewn them together adding a middle blockout material. The blockout material means there is no see through. Both options are available. Depending on the size there would be 3-4pcs. Full colour printing via digital print. 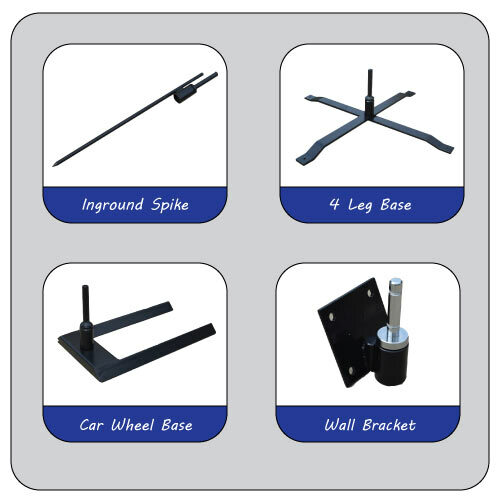 Below are the base options available.